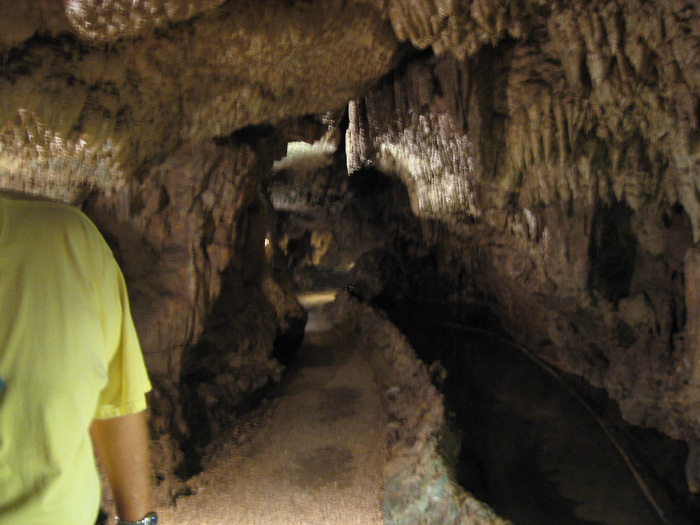 Cascade Caverns, near Boerne (rhymes with Journey), a few hours SW of Austin. The Texas Hill Country, west of Austin, is uplifted limestone. As water flows through the limestone it creates numerous caves.